100 Years Celebrated: Next 100 Years! 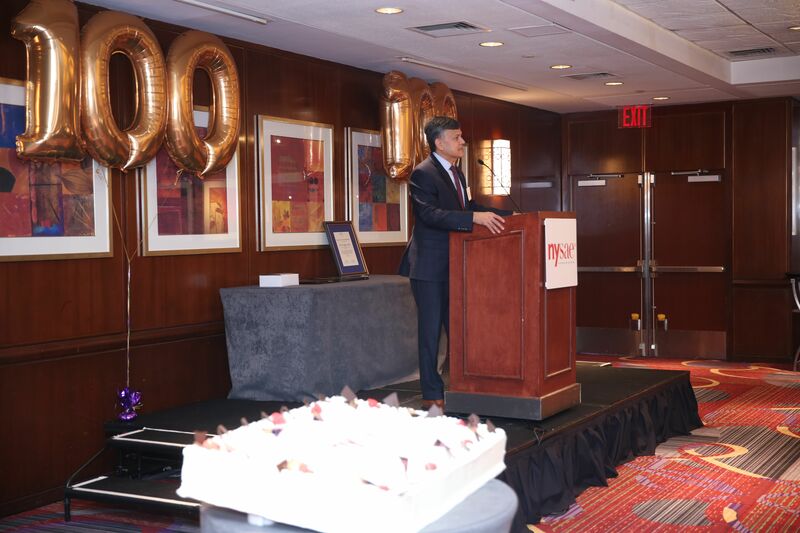 Reaching 100-years-old is quite a remarkable milestone for any organization. It is the mark of a champion organization. It is an indicator of leadership through the decades and a signal of excellence. In New York, it is a testament to perseverance and strength in the city that never sleeps. 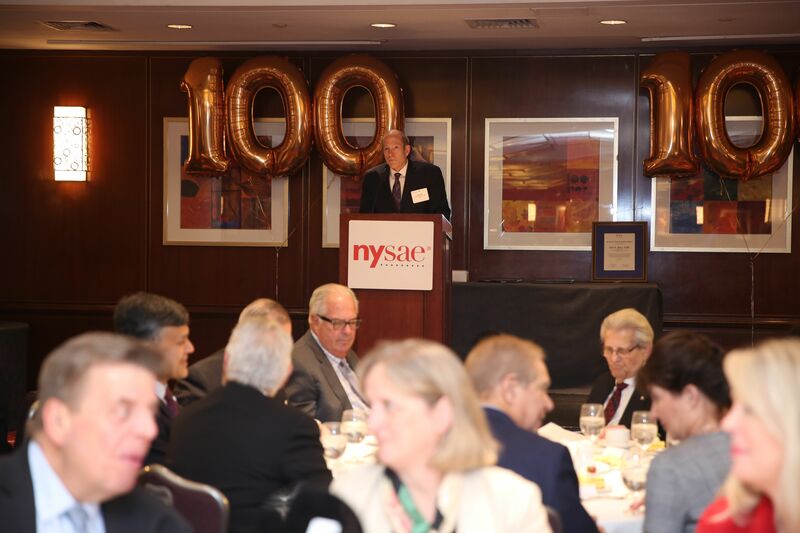 NYSAE celebrated its 100th Anniversary in style at the Marriott Marquis in Times Square on Wednesday, March 6, 2019. And, what a celebration it was! Over 300 association and nonprofit friends and colleagues paid tribute to the organization at a gala luncheon event. At the luncheon, NYSAE honored three key role models who make the City of New York thrive. The honorees included The New York Broadway Theatre and Entertainment Industry and The New York Hospitality Industry. Rounding out the trifecta was a special presentation to Joel A. Dolci, President & CEO of NYSAE – the leader of NYSAE for over 40 years! Accepting an award on behalf of the New York Broadway Theatre and Entertainment Industry was Charlotte St. Martin, President of the Broadway League. 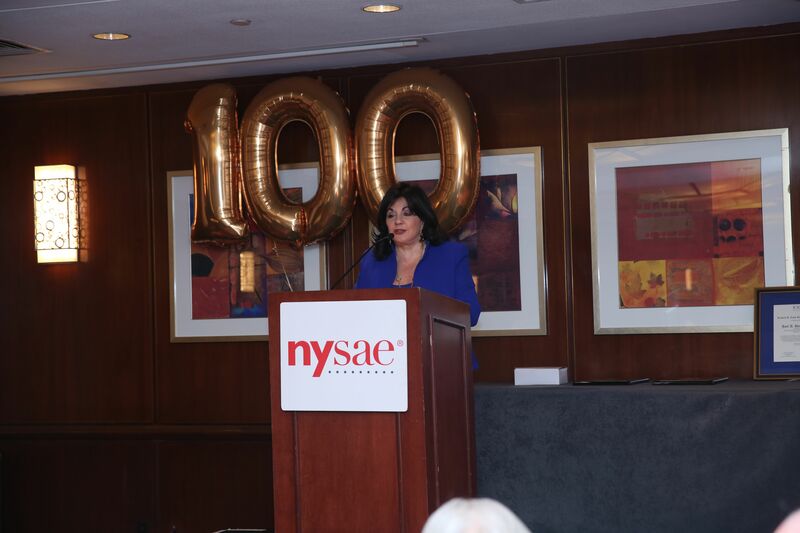 She shared her story of her involvement and leadership in NYSAE as the organizations first female supplier member chairperson and her continued excitement working in the association and entertainment sector in New York. 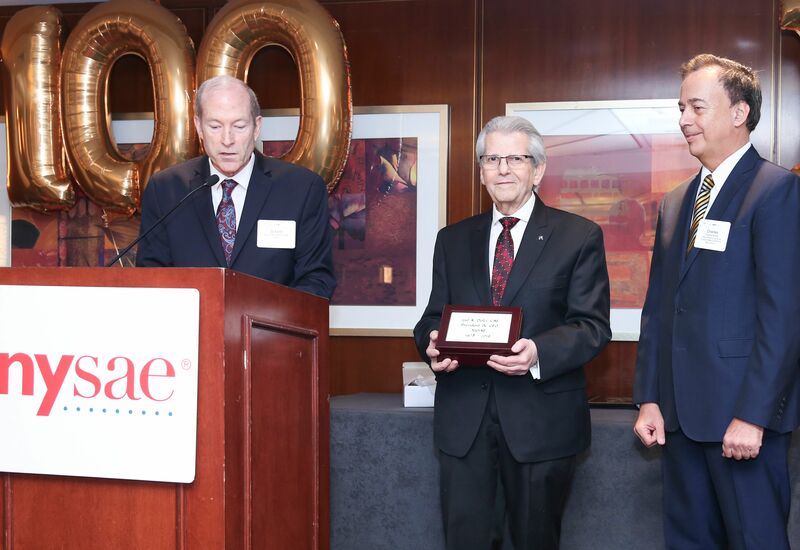 Following the first award of the day, Joel A. Dolci, CAE accepted The Richard A. Cook Gold Medal Award from the 100 Year Association presented by Luke Vander Linden, Secretary, and Clinton W. Blume, III, President. NYSAE then presented an additional honor to Vijay Dandapani, President and CEO of the Hotel Association of New York City. Mr. Dandpani also shared his love for working in the association sector in New York, his relationship with NYSAE and connection with the Broadway and entertainment groups. The presentations led up to what was certainly a well-deserved presentation to NYSAE’s own Joel A. Dolci, CAE. 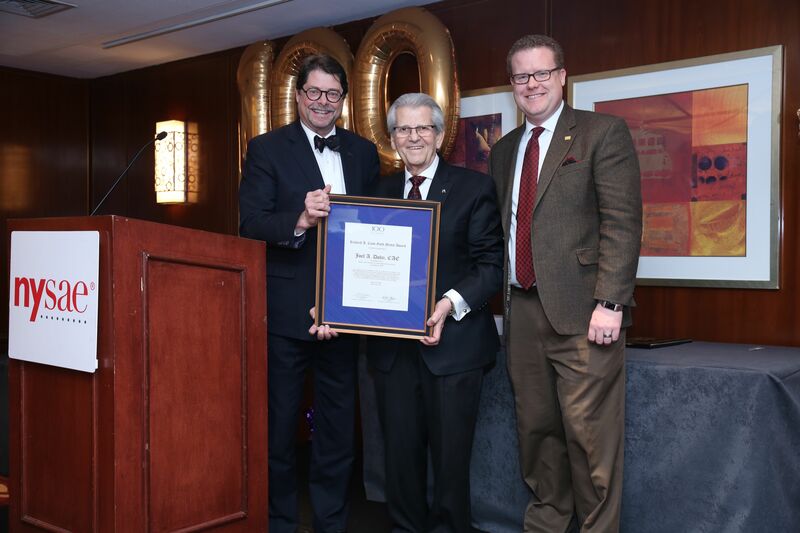 Introduced by two-time chairperson Michael Weamer, President and CEO of The Marfan Foundation, with additional comments from NYSAE Treasurer David Murphy of UBS, Mr. Dolci shared his memories of his tenure with the organization. The celebration was, by all accounts, one of the most commended events of NYSAE’s recent memory. It was also the kickstart of the next 100 years, which started immediately after the event with the 11th Annual MeetNY event.